Learn how to make an even greater impact as an artist, and create revenue streams today that will flow in while you work in your studio tomorrow. The multi-disciplined artist makes a variety of marks on the world but in a voice that is distinctly their own. I have been fascinated by Hundertwasser for years, owning many books of his works. On a trip to California wine country my husband and I had a serendipitous opportunity to visit a winery that he designed, that we didn't even know existed! Tours of Quixote Winery were by invitation-only at the time (2012), and in casual conversation with someone at another winery my interest in mosaic came up. They excitedly told us about nearby Quixote and the mosaics by Hundertwasser, and called to see if they could get us in for a tour. Yes! We were scheduled for a tour the following day! Magical sums up the visit in one word. Imagine being immersed in a designer's mindset experientially, in literal forms. From the moment of driving onto the property, from the landscape of flowing grasses, to the buildings - organic in form, the facade decoration..mosaic brightly colored and sparkling gold, to the interior decor and...even the wine label. Yes, Hundertwasser designed their wine label! I see an opportunity for fine artists to touch a worldwide audience, through both their favorite tactile mediums and digital versions of their artistic voice. Artists today have the ability to create in a medium that can last millennia - mosaic, and in a medium that is temporal...digital art. After seeing the genius in the many ways Hundertwasser touched this property, making permanent marks to the land and also tangible customer touch points in something that travels home with the visitor...the wine label, I was awakened internally. The beauty and quality of every mark by Hundertwasser was top shelf as you'd expect from a fine artist. Today, I'm personally running toward expanding my toolkit to include digital art because I see it as the key to unlimited potential as a thriving artist. And as is true with anything, the more you learn about something, unknown options arise. 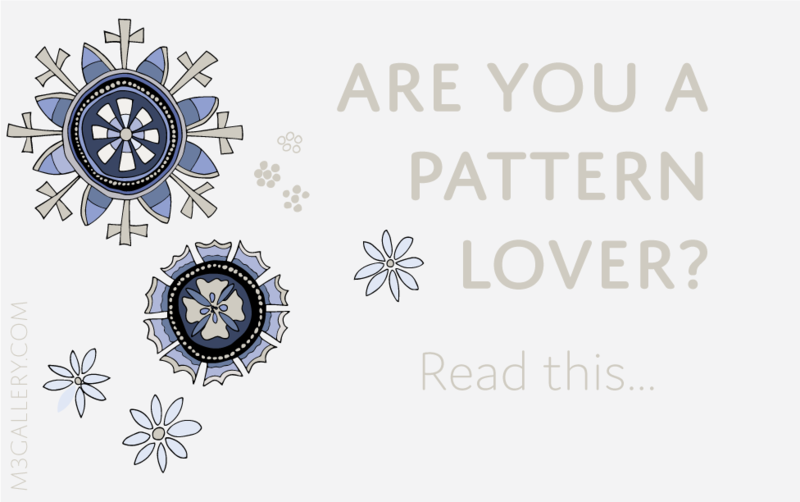 For me, I've always been a pattern lover, intrigued by repeated patterns that cover a surface, from a single motif like a wine label and 'brand identity' to patterns that cover a wall like a permanent mosaic, or temporal like wallpaper. I discovered that Surface Pattern Design is also a potential full time career path, if desired. a greater worldwide audience through their tactile mediums PLUS digital versions of their unique artistic voice. On my search I discovered the teacher who can take you from knowing nothing about creating digital art to approaching companies with your finished portfolios of work and understanding the world of licensing all within one online course. 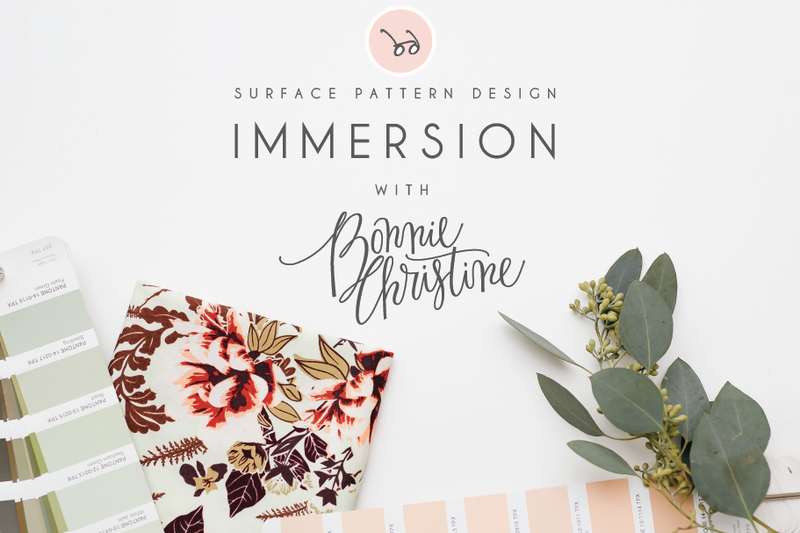 I have been learning from her for the past couple years and am taking the plunge to take her newest Immersion Course that is only open for enrollment once a year February 19-27. I'd love to be on this journey with you! Incase you're wondering if going off on a tangent to learn digital art makes sense as a fine artist in another medium, I would say that this tangent can become passive income that allows you to remain in your studio creating fine art...while royalty checks roll in. It's a key to creating downloadable digital products that could be available in your online shop, and enable you to prepare the files for any print process for any application. And it will allow you to create your own logos and icons for your website.... Learning Adobe Illustrator is artist empowerment to the nth degree. I'd love to hear from you if you have any questions! Leave a comment, or write me privately.